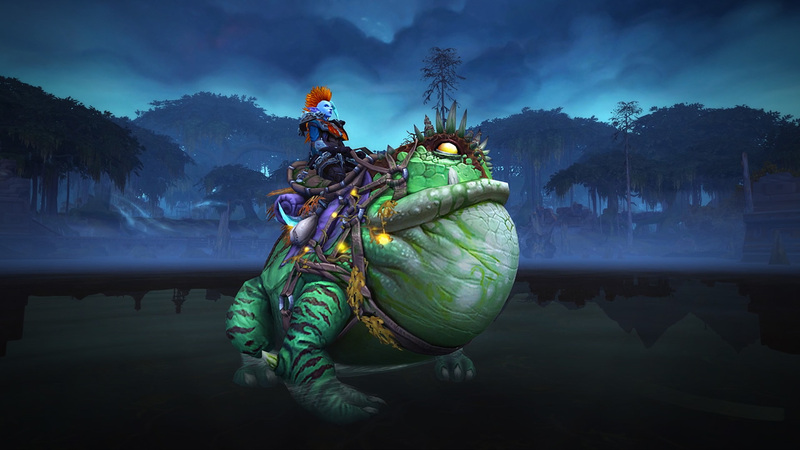 An overview of mounts, toys, battle pets and other rewards that have been added in Tides of Vengeance. We hope you’ve a stash of gold at hand, because you’ll need it to purchase the new Marsh Hopper. Vendor Gottum in Nazmir will want 333,333 gold for each variation of this new mount which comes in blue, green, and yellow. Ashenvale chimaeras were used frequently by the Kaldorei to decimate structures in battles against the humans, orcs, and undead. 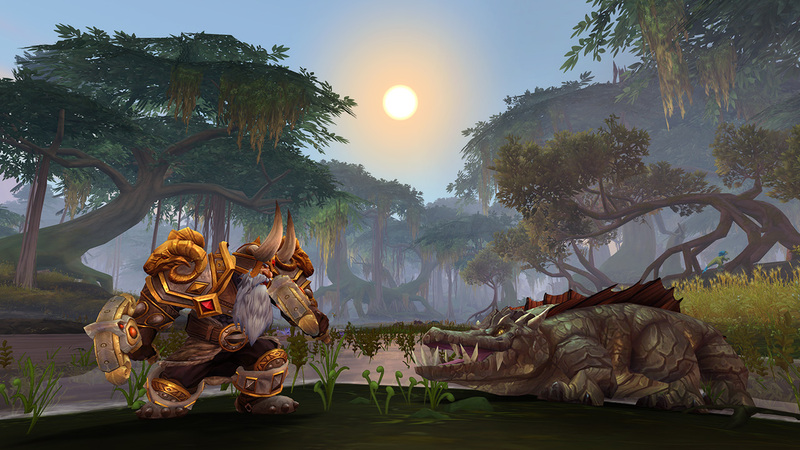 Blackpaw was just hibernating, minding his own business, and then suddenly there was a warfront. The connection between a nightsaber and its hunter or huntress is nearly inseparable. Nightsabers are an integral part of the Kaldorei’s army, serving as both mount and assault weapon in one. Captured from the desolate sands of Vol’dun, this mount is surprisingly docile in captivity. The forsaken prefer the use of these bloodthirsty hunters, both for their speed as a mount, and the psychological effect they have on their enemies. Once these elegant cats were only given to high-ranking priestesses of Elune, but now they ride into battle with all manner of champion, in the service of vengeance. If he wasn’t so full, you wouldn’t have caught him. One of the larger native dragon species on Azeroth, this subspecies subsists almost entirely on fish. And fishermen. Something terrible happened in the lost town of Havenswood. These giant seahorses are naturally curious and are often found exploring sunken ship wreckage for shiny things. One of the rarest of birds seen on the islands of the Great Sea, and a prized possession amongst traders, if they can capture it. Stonehide elderhorns, one of the few types of moose to inhabit island climates, have thinner fur than most elderhorns. A true union of the minds. 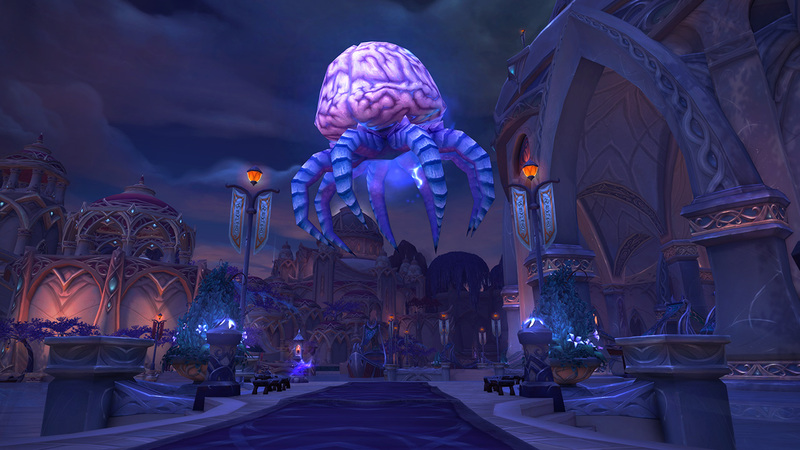 Newly discovered by the WoW Secret Finding community—check back after the new year for our insights on this new secret mount and visit Warcraft Secrets to get started on the path to adding this new mindbending mount to your collection. One of the earliest recorded victories in a large battle on Zandalar depicted mighty warriors riding into battle on armored raptors. The legend has it that the warrior did not choose their raptor, but that the raptor would choose the warrior. During certain times of the day, the sunlight can cause a reflection on the feathers of the red-tinted raptors causing them to look more like flames than feathers. This jelly has seen better days. Now it sees through fifty different eyes. Once a mighty warrior of the n’raqi, Zur’aj’s power was stolen and absorbed by an unknown rival. Albino ravens are incredibly rare and highly prized amongst the traders of the Great Sea. The crimson species of Octopode grows larger and hardier than others, and is capable of sustaining crushing pressure in the depths. Firesting wasps are said to have one of the worst bites of any wasp species, causing a pain like a burning blaze. We don’t know much about this species, but we do know this: bats aren’t bugs. The needleback porcupines have survived life in island climates by evolving to be extra lucky. Get it while it lasts. Key activities include: rolling over, sunning self, whimpering for belly scratches, and enjoying belly scratches. Though barely a hatchling, its claws are already sharp enough to pierce the flesh of many smaller critters. These whelps are frequently captured by the denizens of Jorundall when still young and trainable. It has one solution to all of its problems: give em’ a lashing. Lord Woofington was given his title after the rest of the denizens of Havenswood succumbed to madness. Change your appearance to look like a Dark Ranger. Beseech Brynja from death to serve as your spirit healer for 1 day. Trap the target’s soul inside Narassin’s Soul Gem. Throws a Detoxified Blight Grenade at the target, covering them in Detoxified Blight. Allow yourself to be possessed by a Highborne spirit. 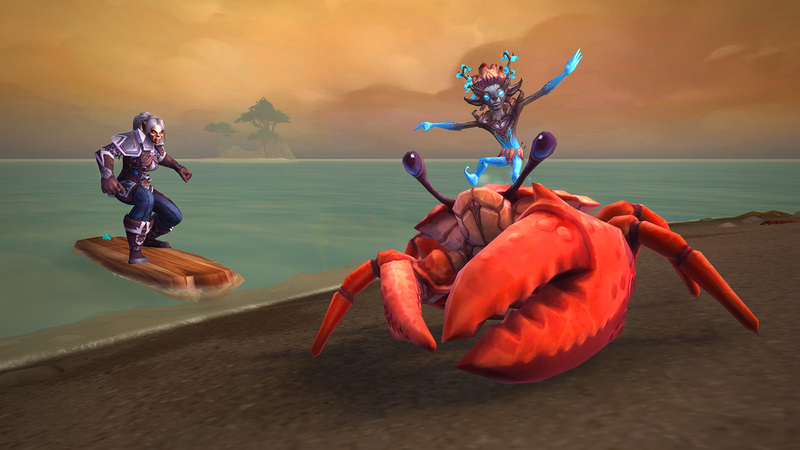 Summons a very cranky crab for your battle pet to ride on. Use the anchor as a weapon. Launch unstable Azerite skyward in a dazzling display. Lay out a bewitching tea party for your friends. Lay out a bowl of glowing pufferfish. It lives when it spills. Your life for da blood. Lay out a breakfast buffet fit for a king, de best de Goldtusk Inn has to offer. Play a round of Kojo’s expanded shell game. Set up a rickety jukebox featuring Meerah’s greatest hit! Plant a war banner and rally nearby troops! Feed a fallen ally to ravasaurs. Suitable for transmogrification and fashionable seafaring. The torn cloak of a fallen warrior, worn as a symbol of remembrance. Suitable for transmogrification. A well-made cloak worn by battle commanders. Suitable for transmogrification. 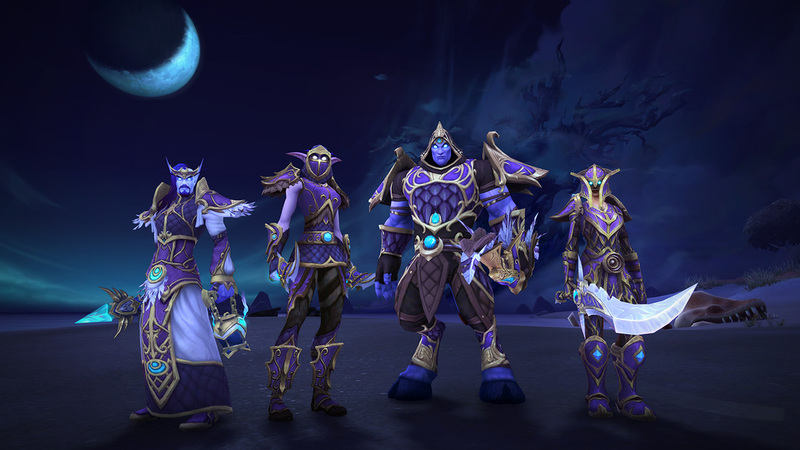 Alliance players who complete Tyrande’s Ascension questline in Darkshore and earn the achievement “In Teldrassil’s Shadow” will unlock the new Night Warrior customization options available to night elves. 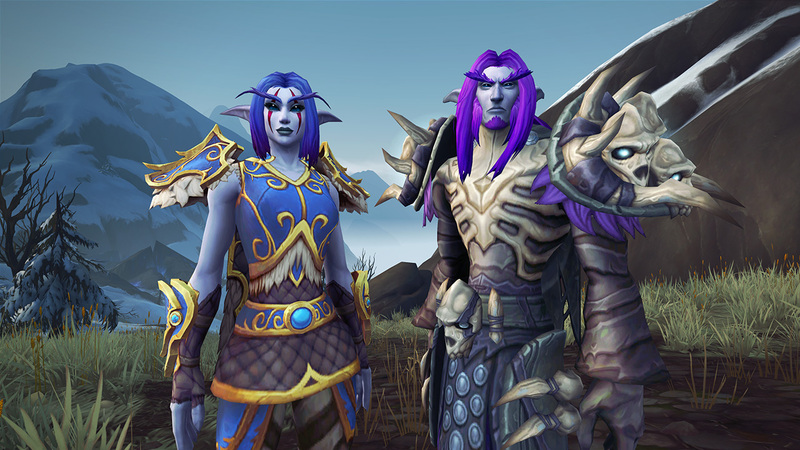 These can be accessed with a night elf in character creation or in the Barber Shop. 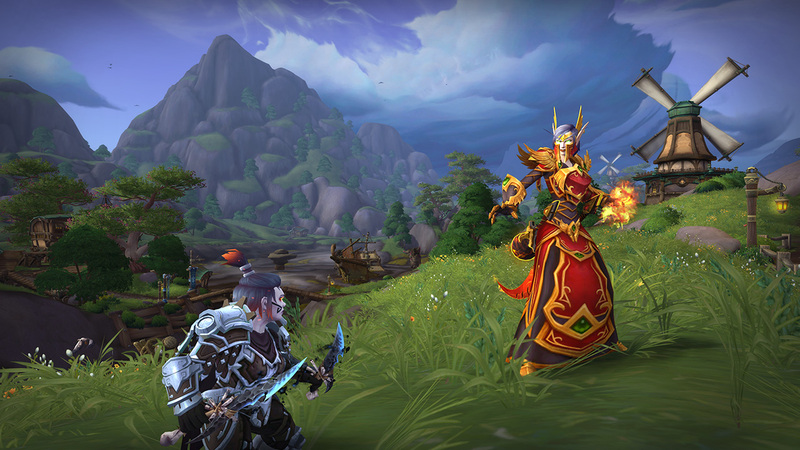 Players with maximum-level (120) blood elves or dwarves who are Exalted with their faction (Silvermoon City or Ironforge respectively) are able to embark on a new quest line for each race to learn more about their history. 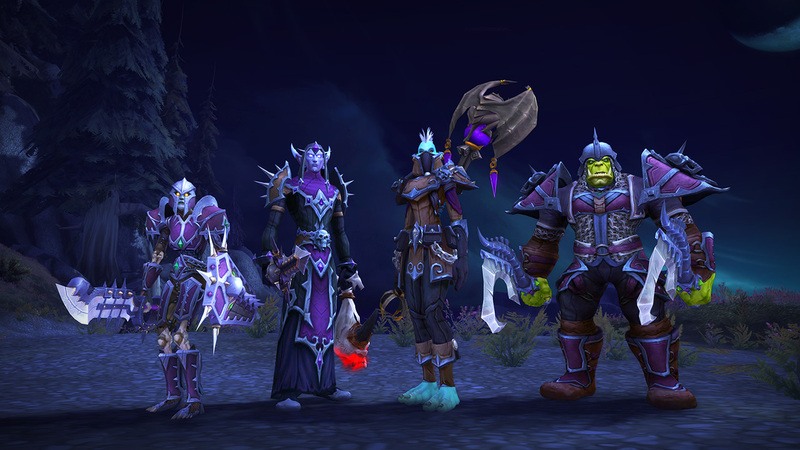 Once you complete your quest, you’ll gain a new Heritage Armor transmog set unique to your race and be able to show off your pride. the new patch just dropped. The new raid starts in less than a month. Invasions started up again. War campaign continued.